Whidbey Life Magazine presents the wonderful world of the harvest season in this issue with spotlights on the planting at Coupeville’s Willowood Farm, that’s sure to keep the vampires at bay. Also, read about the FiberQuest with a Twist tour that’s coming up this weekend. Visit alpaca farms, gather your yarn for the knitting season and enjoy some wine and chocolate along the way! 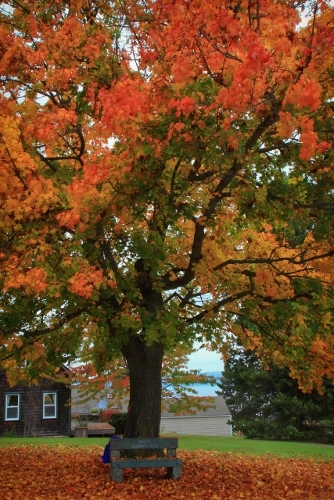 Enjoy this series of photographs by David Welton, featuring the spectacular show of fall colors on the island. Happy Halloween! 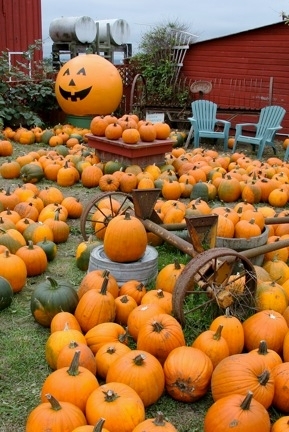 Pumpkins are being sold at farms all over Whidbey Island, including the plentiful bounty at Sherman Farm in Coupeville. 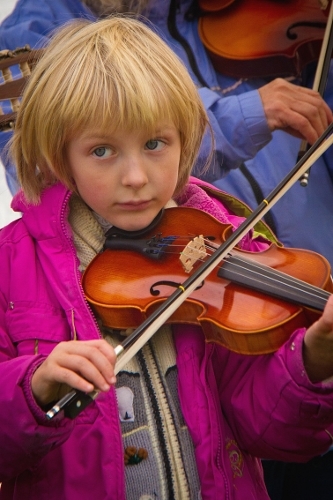 Young violinist Audrey Gmerek joins in the fiddling at Tilth. 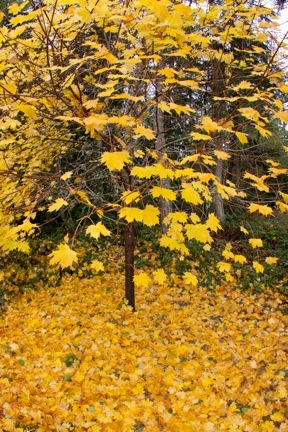 Yellow is the color of the hour near the Tilth gardens in Bayview. 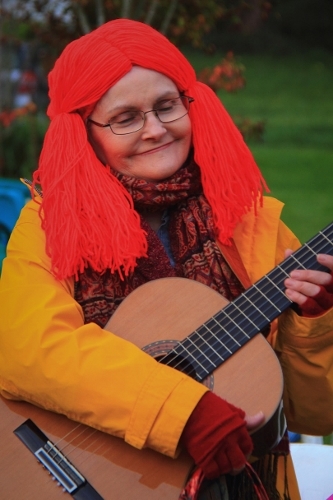 Linda Murray does her best Raggedy Ann with guitar at Tilth’s harvest celebration on Sunday. 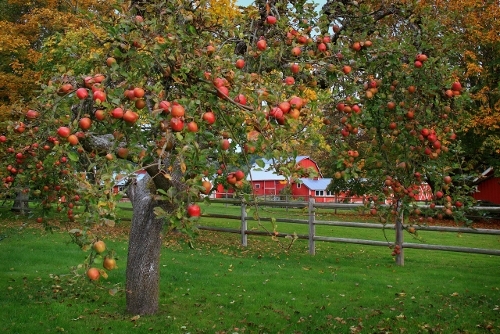 The apples are ripe for the pickin’ on Millman Road near Double Bluff in Langley. 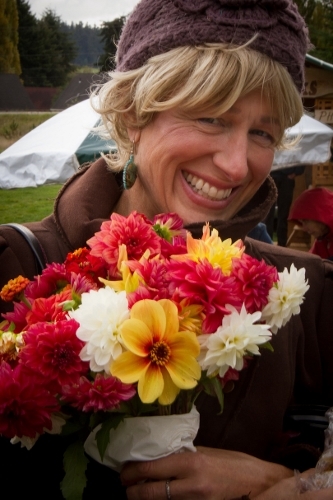 Colorful flowers light up Betsy Gmerek’s face at the harvest celebration on Sunday at Tilth. Colors grow more vibrant each day on this Second Street tree in Langley. 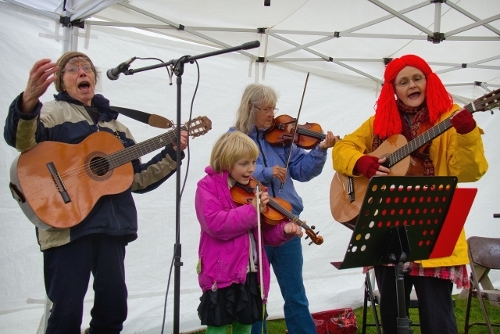 Linda Good, Audrey Gmerek, Wendy Ardans, Linda Murray perform at the last Tilth Market to celebrate the harvest and welcome Halloween. 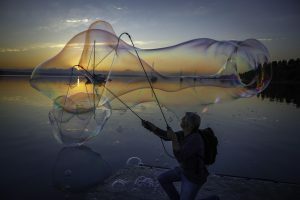 Great photos, Dave! I love the portraits of the people at Tilth. My favorite is the one with Linda Good leading the singing onstage. Fine capture, there. Thank you for that treat! I left Whidbey a few years ago, and miss it very much. These are the things that bring the island back to me.